Jamaica hopeful Dalton Harris has been confirmed as one of the final 24 acts of the X Factor 2018 final, following the end of the Six Chair Challenge. 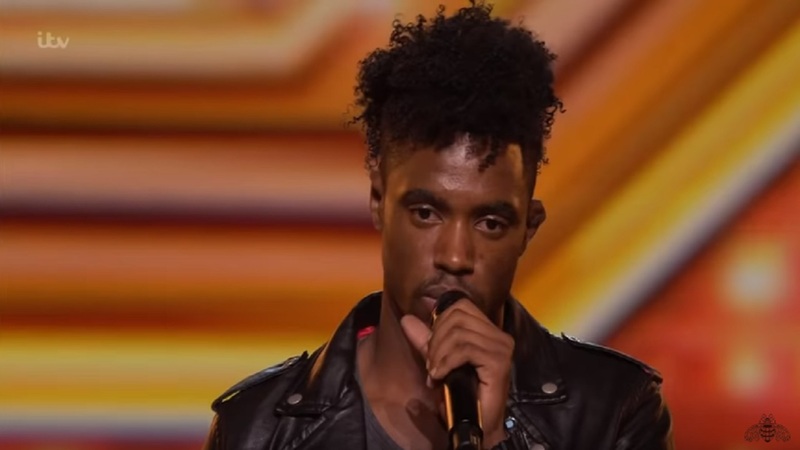 He blew away the judges with his performance of rock icon Prince's 'Purple Rain'. The next stop on Harris' wild ride is the judges' houses which begin on Sunday, October 7 at 8PM on ITV. Harris is one of the contestants confirmed for the Boys Category who will head to Ibiza. "There is just one more obstacle to clear before he gets to the live rounds. Jamaica is so proud of him and he continues to wave the flag high," manager Donovan Germain told Loop reporter Claude Mills late Saturday. Judge Louis Tomlinson will take the Boys category to Ibiza with fellow One Direction star Liam Payne plus Nile Rodgers. Contestants in the Boys category who will join Harris are Anthony Russell, 28, from Liverpool, Armstrong Martins, 23 from London, Brendan Murray, 21 from Galway, J-Sol, 25 from London and Thomas Pound, 20 from Bridgend. At the judges' houses, each judge will pick four acts to make the live shows. This year, Robbie Williams has the Groups and will be taking them to Beverley Hills with guest judge David Walliams. Ayda Williams will be in LA with the Overs, joined by guests Leona Lewis and Adam Lambert. Trinidad and Tobago soca star Olatunji Yearwood is in this group. Simon Cowell will take the girls to Malibu with some 50 guests from the music business including Randy Jackson, Paula Abdul, Diane Warren and Ryan Seacrest. There's also former X Factor winner Leona Lewis and judges' houses regular Sinitta . Created by Simon Cowell in 2004, The X Factor is a British reality television music competition to find new singing talent. The show airs in the UK on Saturdays and Sundays. Dalton Harris gained local attention after he won the Digicel Rising Stars competition in 2010.